'Fantastic Beasts And Where To Find Them' SEQUEL Is Coming SOONER Than You Think! 'Harry Potter' fans have had all their Christmases come at once, as 'Fantastic Beasts and Where To Find Them' has been given a date for it's sequel. The first spin-off from J.K Rowling's Harry Potter movies doesn't even hit cinemas until November this year but Warner Bros. have confirmed they are already planning ahead for the second instalment of the wizarding trilogy. The famed author has already written the script for the follow-up film and it's been confirmed to hit cinemas on November 16th 2018. 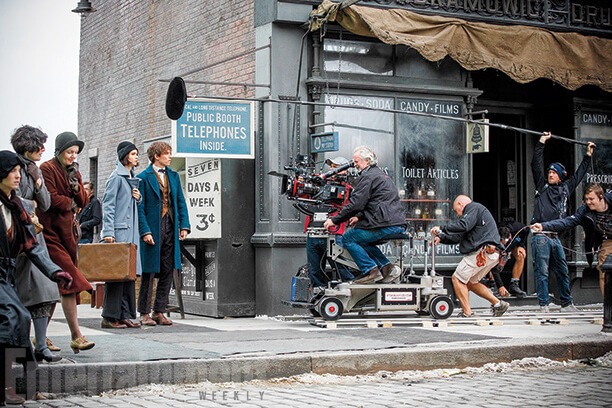 ‘Fantastic Beasts’ filmed at 'Harry Potter' Leavesden Studios.. The existence of Leavesden Studios’ “Warner Bros. Studio Tour London: The Making of Harry Potter” means fans of the Wizarding World are dropping by the studio on a daily basis to check out the sets from the first eight Harry Potter movies.